• How did you get into being a owner of the planning, styling, décor, hire business? I worked in a corporate environment for 8 years prior to purchasing Wedding of Distinction. In my previous role, I assisted with the creation of corporate events and thoroughly enjoyed the process. I decided that I wanted to pursue a career in events, which lead me to researching wedding businesses for sale. I came across Weddings of Distinction in my search and that’s where it all began! After purchasing the business with my mum, Elly, we set out on updating, re-energising and modernising it to create the Weddings of Distinction that you see today. • Why do you enjoy what you do? I love working in a happy industry! It’s extremely rewarding working with couples and seeing their visions come to fruition. There’s nothing better than receiving positive feedback after the event too! • Who trained you and what are they up to now? I received training from the previous owner of the business where we dedicated six months to working side-by-side to understand and learn everything we could about the business and the wedding industry. The previous owner of the business decided that, after 16 years of working in the industry, being a stay-at-home mum was the next big step in her career. • What’s the biggest mistakes and myths about wedding venue decoration? From experience and feedback, it seems that the biggest mistakes involve “DIY” projects. We’ve found that, at times, there’s not enough consideration given to the actual set-up and pack-down process. 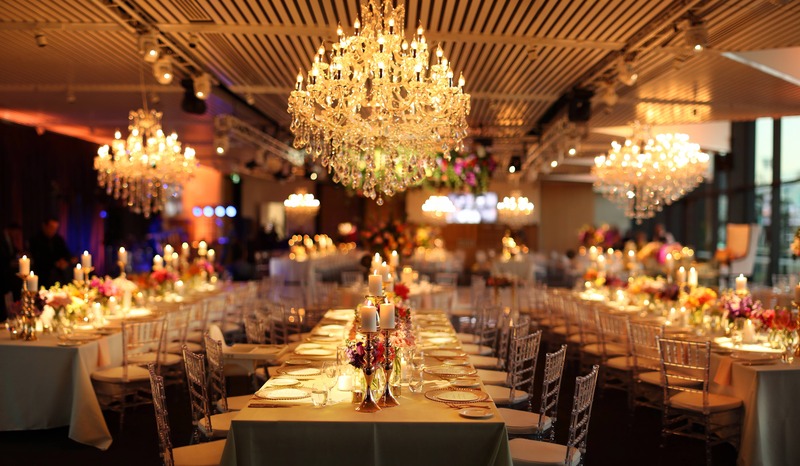 Decorating a venue can be extremely time consuming and, at times, bothersome. The idea behind hiring a company such as Weddings of Distinction is that we take care of the finer details and alleviate certain stresses on the day of the wedding. As I often say, leave it to the professionals so that you can enjoy your special day! • In the lead up to a wedding, what have you noticed your clients doing that ensures a great wedding experience? Organisation is key! Having a detailed run sheet for the day and confirming that this run sheet is consistent with the timings of your suppliers is essential. Also, confirming the finer details with your suppliers is imperative – you don’t want to exclude any important details otherwise suppliers will miss out on capturing these special moments. • What trends have you noticed over the last 12 months? We’ve noticed a massive shift to “DIY” weddings in the last 12 months. As a hire and décor company, we offer a huge selection of items for DIY hire where couples can collect items from our showroom in the week of their wedding and return them to us following their wedding. Alternatively, we offer a same day set-up and pack-down service that may be of interest to remove any added stress on the day. • What wedding trends are you seeing overseas that you hope come to Australia? Beautiful, luxurious weddings are trending overseas at the moment. We LOVE florals so hope that we see more extravagant weddings in the future with lush blooms as the main focus, with beautiful accompanying décor items to compliment them. Adding metallic elements or candlelight takes a wedding to an entirely new level. The finer details are key! • How can people get in contact with you? We have a showroom at 500 City Road, South Melbourne where couples can make an appointment to view our hire items and discuss their wedding requirements with us.